Traditional Plasterworks is a family company. 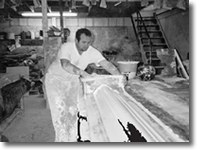 We have established a leading role in the design, manufacture, supply and installation of specialist plaster moulding products like plaster cornices, covings, corbels, architraves and panels. We aim to enchant our customers with a variety of high end products like cornices, covings, corbels and panels – the list is lengthy because we have perfected our skills. Our interior design products are built to withstand today's modern environments, whilst still offering the finest, most luxurious, feel to even the most modern of buildings. We design and construct all of the products we offer at our own premises in Grays in Essex. Whilst we know the importance of commercial and domestic internal design, we realise that our clients require elements of technical assistance when it comes to planning interiors. Traditional Plasterworks use innovative materials. This allows us to accurately match existing plaster or stone mouldings. 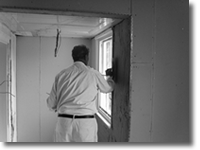 Through use of modern technology and traditional crafting methods, the plasterwork we produce has earned us a highly reputable, and enviable, position in our industry. Speak to us today about our reliable design and manufacture service. We endeavour to meet the high demands of today's architecture and do so on each and every project.